The research group studies at the molecular level the secretion, biogenesis and function of bacterial surface proteins and protein appendages involved in infectious processes. We also apply these bacterial protein complexes for extracellular secretion and surface display of heterologous proteins with the aim to generate biotechnological, medical or diagnostic applications. 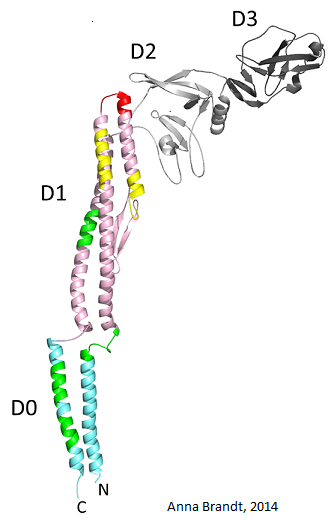 Penicillin binding protein 3 of Staphylococcus aureus NCTC 8325-4 binds and activates human plasminogen.